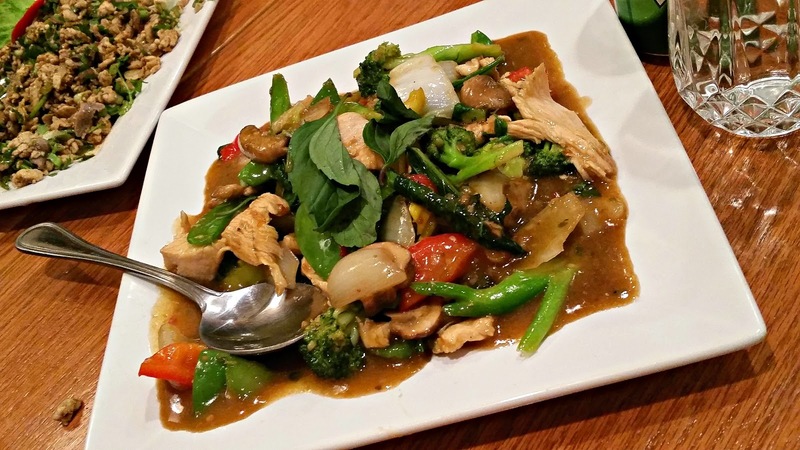 Recently celebrating their Grand Opening on December 7th, Lanxang Star has taken the place of Thai Parima on Lakeview Ave in Dracut, MA. 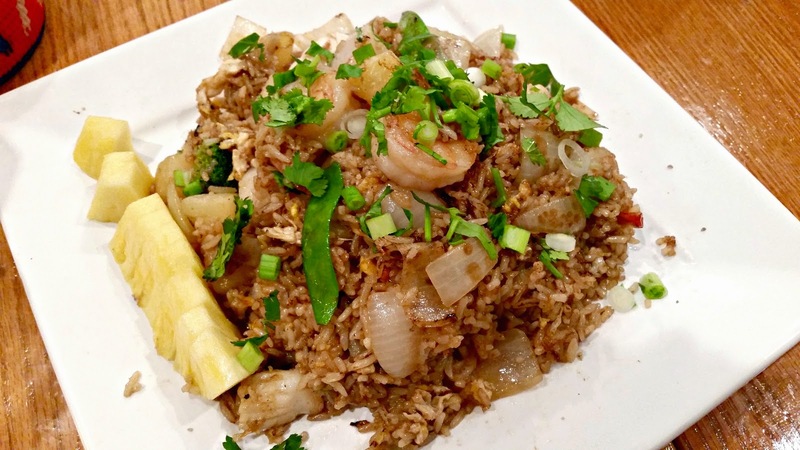 Similar to other Southeast Asian restaurants in the Lowell area, the extensive menu captures the essence of Thai and Laos cuisine. 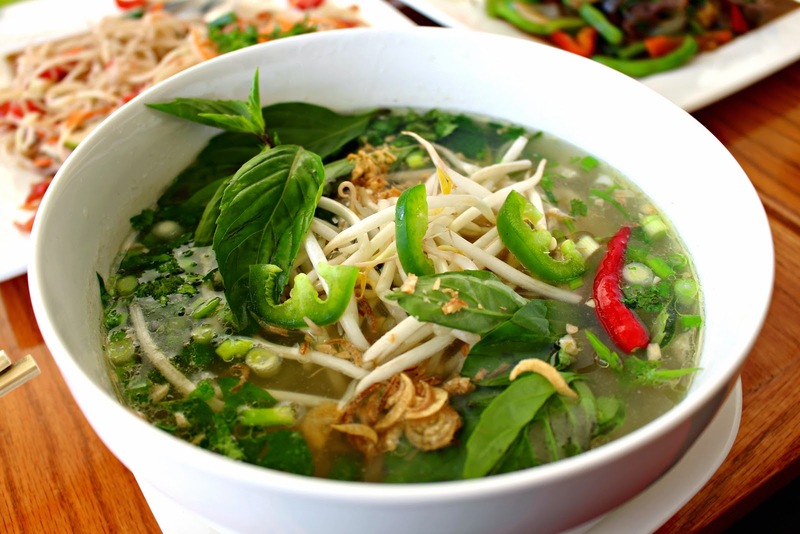 Although each Southeast Asian country has it's own staple dishes, it's kind of hard to pin point the exact origin. For instance, who invented the eggroll? Everyone seems to have their own version from Vietnamese, Cambodian, Chinese, Thai and who can forget the "Lumpia" from the Philippines. 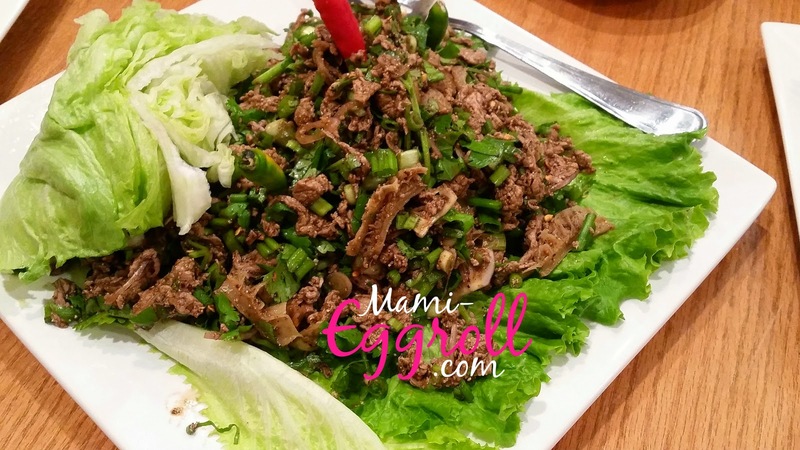 Growing up, my mother cooked what seemed to be Vietnamese influenced dishes such as "Banh Xeo", "Banh Hoi", "Banh Canh" just to name a few. The famous pad thai noodle originated from Thailand but the Cambodians make "Ka thiew cha" which is similar. 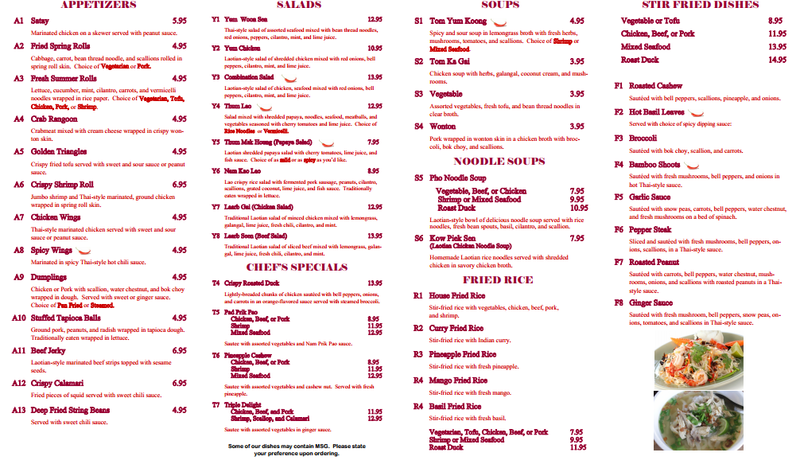 In fact, almost all Cambodian restaurants in Lowell have their own version of pad thai. 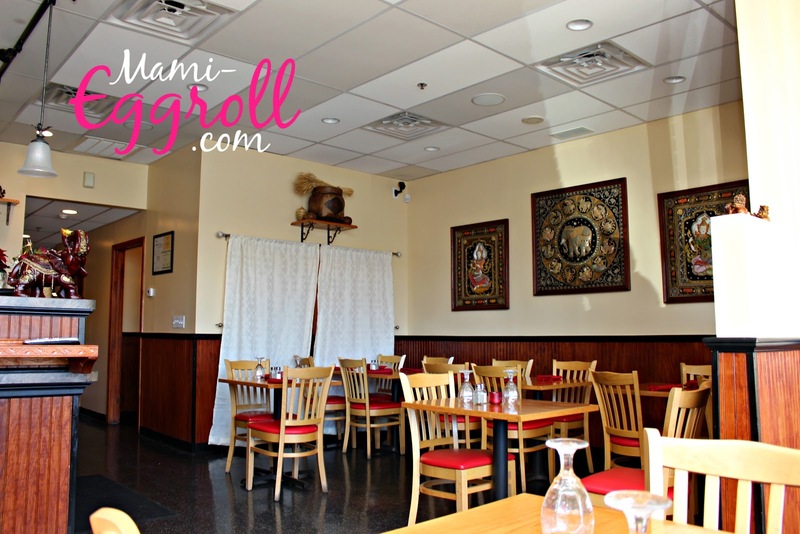 The restaurant is located in a strip mall off Lakeview Ave and parking is ample. The small restaurant had a decent amount of tables for couples and (4)'s but I also saw they could accommodate larger parties since they posted a picture of a holiday event that they recently hosted. We started with a few appetizers and ordered the traditional Laotian stuffed tapioca balls, beef jerky and chicken wings. They were all priced right between $4.95-$6.95. 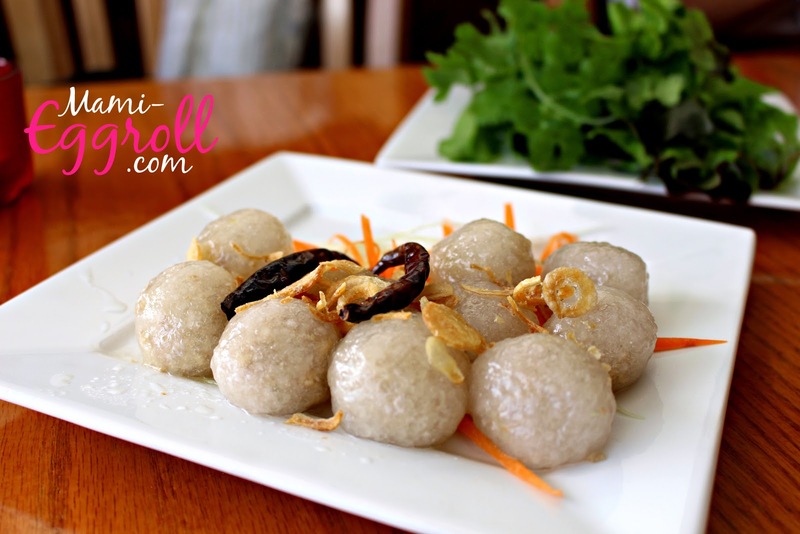 The sweet steamed dumpling balls are a popular street snack in Thailand and Laos and also a family tradition in households. You can eat them plain but the most natives prefer to wrap them in lettuce and herbs and topping them off with fried garlic and dried chili pepper before taking a bite into them. 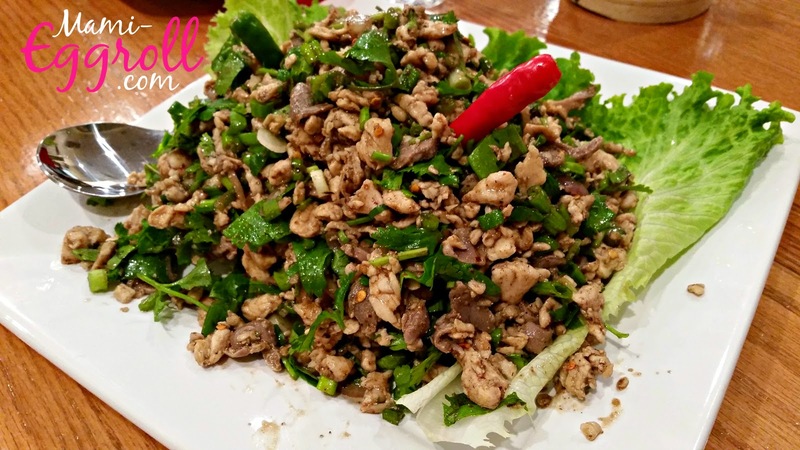 The restaurant's version was good but the ground pork could have used a bit more flavor and seasoning and the appetizer was served sans dried chili, which I am accustomed to. 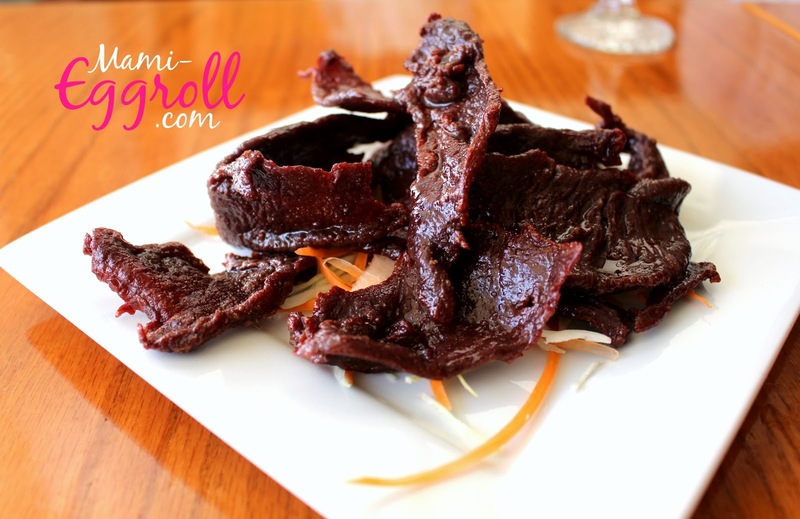 The beef jerky was reminiscent of the former Southeast Asian version that I've eaten for years. 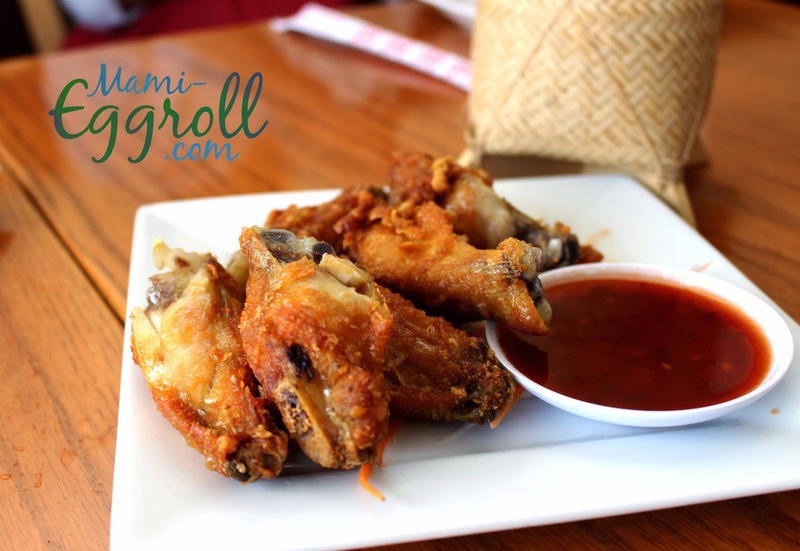 I loved picking them apart with my hands and pairing it with the sticky rice. 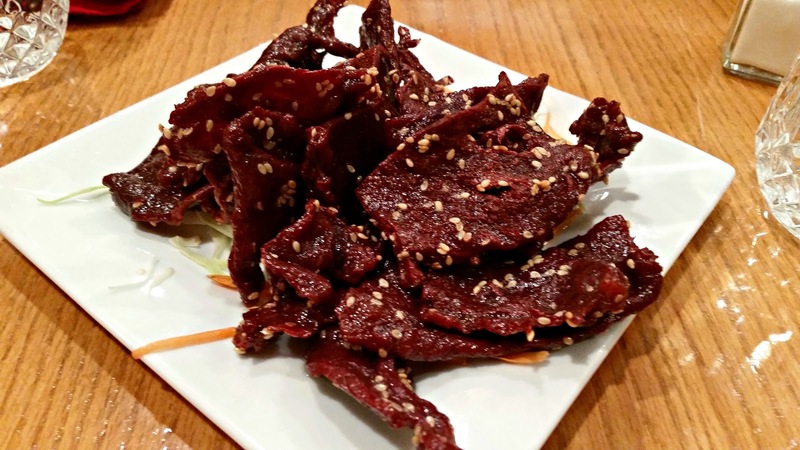 All that was missing was the sesame seeds sprinkled on the beef candied beef. 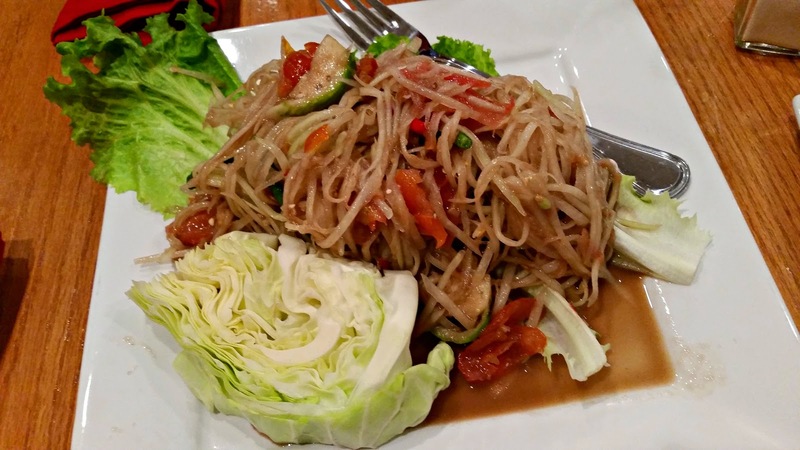 A great Thai/Laos restaurant is measured by it's papaya salad. Of course you can't get papaya salad with chicken wings and sticky rice. It's like a marriage with children. 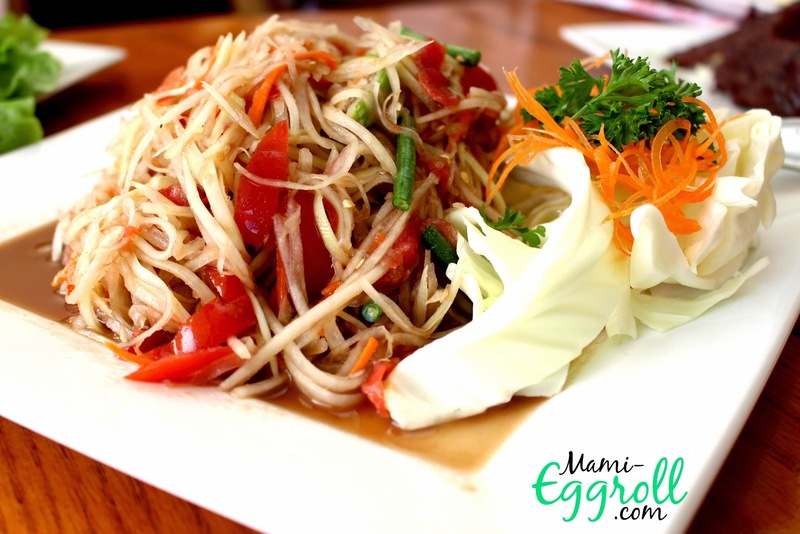 Upon ordering, our server asked us the level of spice we wanted the papaya salad. We went with medium. Indeed, the salad was wonderful. It had a perfect combination of tart (from the young papaya fruit), pungent taste (from the fish sauce) and bold flavors from the garlic as well as a nice kick from the fresh Thai chili peppers. It appears that the wings were cut after it was battered and fried, I thought that was kind of weird but they still tasted fine. The "Kow Piek Sen" homemade Laotian chicken rice noodle soup looked intriguing so we got a large bowl to order. The soup came with beansprouts, Thai basil, fresh jalapenos as well as a condiment quad that held sugar, fried garlic, chili and fried red onion. 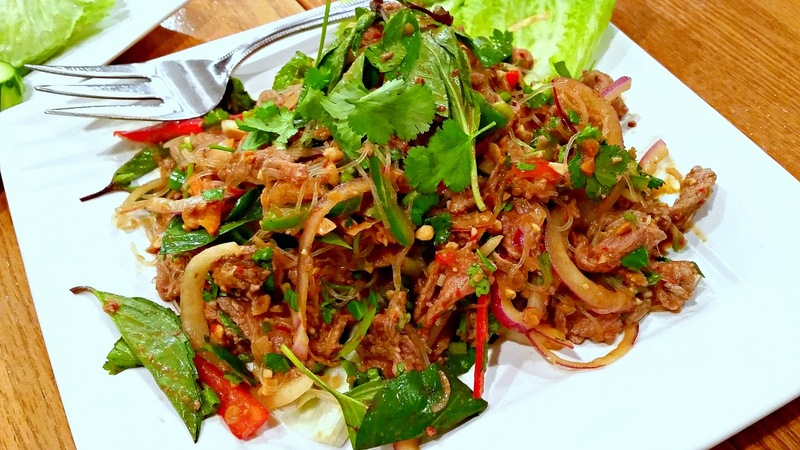 We had to try a curry or stir fry dish so we got the "phad nuer gratium", in Thai that means the beef hot Basil leave. I wished they had the pork belly version that I love so much at Zab Elee. 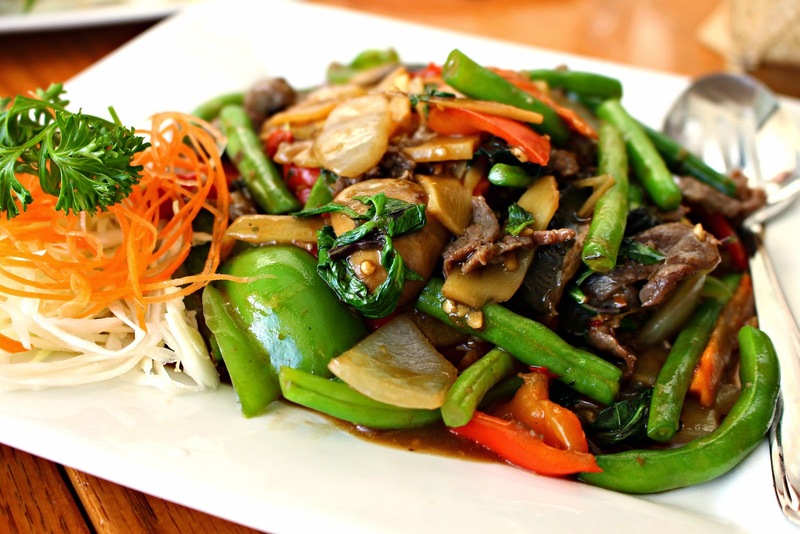 The beef was tender and flavorful and there was a good amount of vibrant vegetables in the dish. It was a great meal. 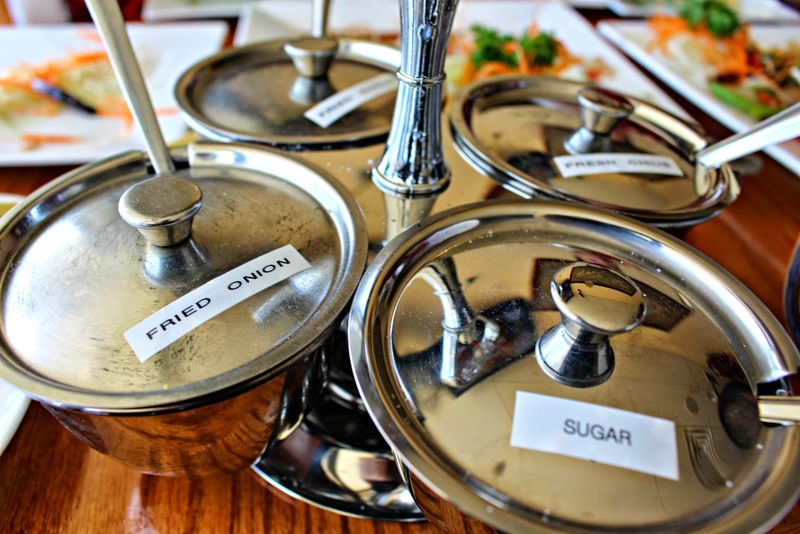 We will definitely be back to try their curries, noodle dishes and their other chef specialties. I ALMOST got the fried ice cream at $ 4.95 but I was totally stuffed. Total for the 3 appetizers, salad, soup and entree with white rice and sticky rice came to about $50.00. ** I don't think they have a liquor license and I regret not asking them if it was BYOB. Food for thought for next time?? My friends and I visited on January 8th with my friends and they still didn't have a liquor license nor was BYOB allowed. 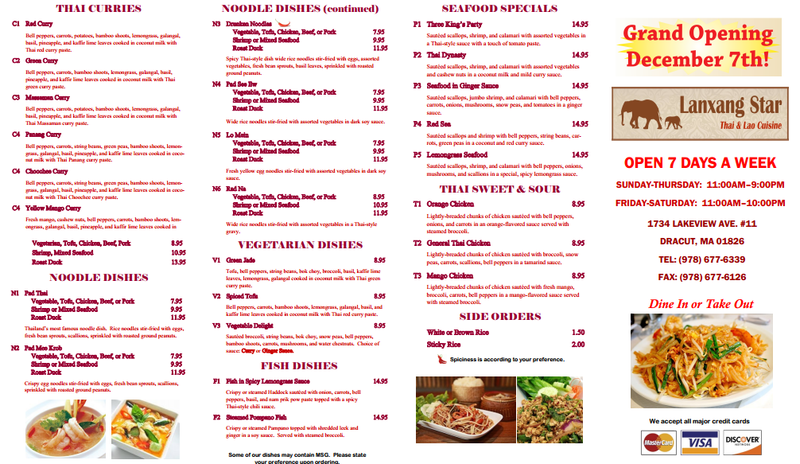 We ordered some of the same staples from the above post and added a few other traditional Thai & Laotian dishes.